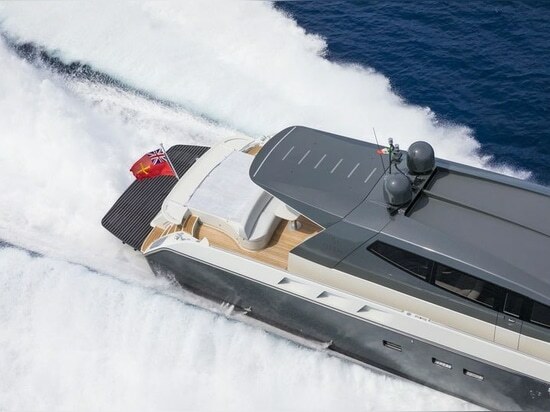 The sixth hull of the new Otam 80HT model has been sold and is in build at the yard’s facility in Genoa, Italy. Named Attitude by her new owner, she is due to be complete and delivered to her owner in spring 2020. 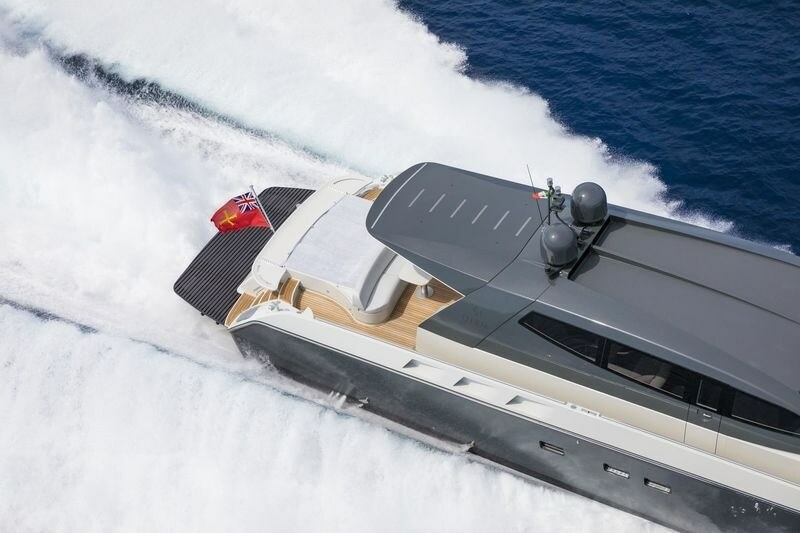 The new hull is set to feature several firsts for the Italian shipyard and was designed in collaboration with the yard’s long-term partner Umberto Tagliavini and his team at Marine Design & Services, who have incorporated several bespoke aspects. 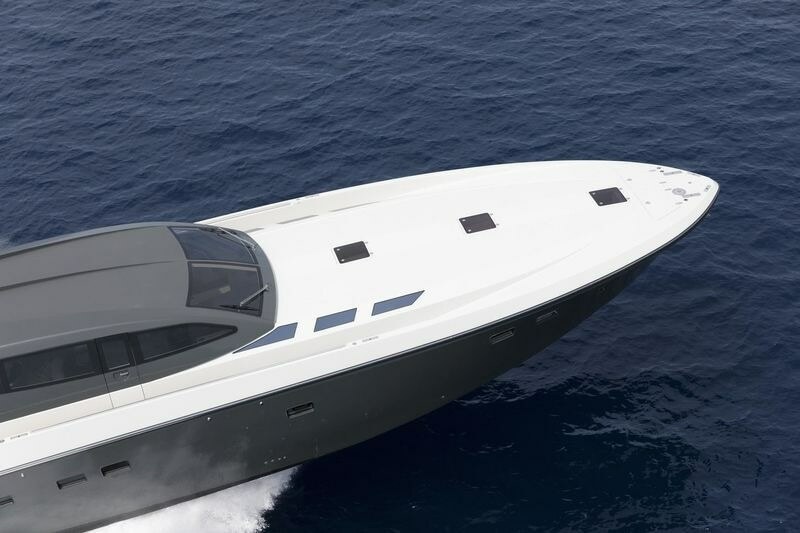 For example, the owner requested a custom foredeck design to feature a large sunbed with bimini and height-adjustable table. Other unique design requests from the owner include the bespoke cockpit layout, which features a horseshoe-shaped sofa seating for up to ten guests in the aft cockpit, the forward port companionway access and generous sunbed atop the transom. The safety gates leading down to the swim platform are also custom designed with a removable top section. All of these features have been designed not to compromise the 80HT’s iconic profile. Attitude will be accompanied by a 3.95-metre Williams sport jet tender for up to six guests, housed in the tender bay under the aft sunbed. 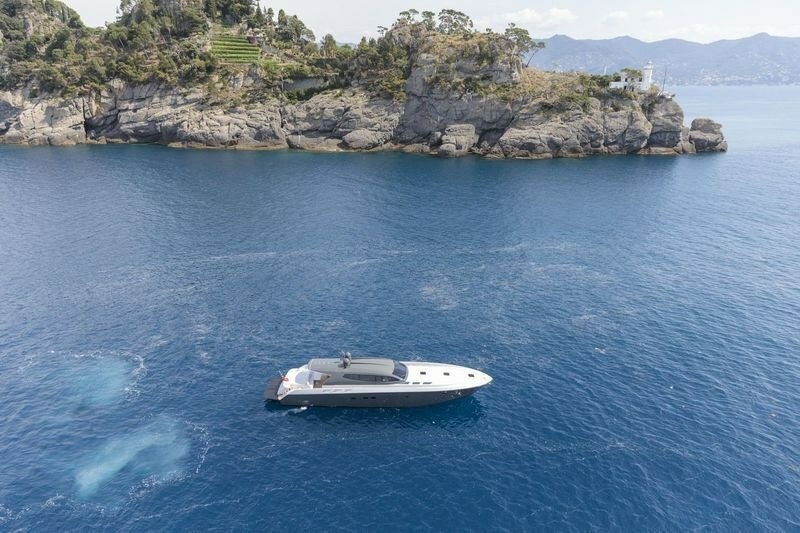 All six guests can be accommodated in three staterooms on board, including a full-beam master suite amidships, a twin guest cabin on the port side and a second master cabin forward. Up to four crew members can be accommodated for in three crew cabins. 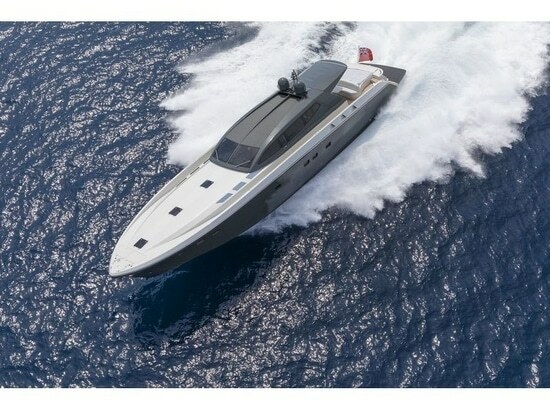 Attitude's twin MTU main engines will power the superyacht to speeds of up to 48 knots and a cruising speed of 40 knots.